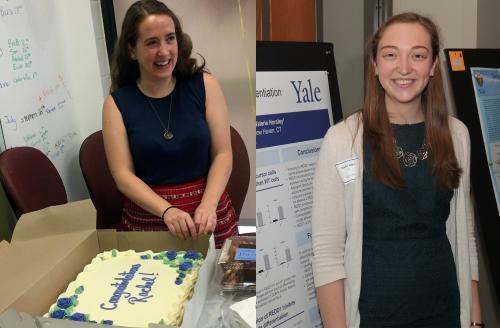 Home » News » Rachel and Katie receive awards for their outstanding thesis work! Two members of the Horsley lab were recognized by the MCDB department for their outstanding thesis projects. Rachel Zwick, Ph.D., (left) received the Spangler Award for her graduate thesis, and Kaitlyn (Katie) Sabin (right) received the MCDB undergraduate thesis award. Congratulations to both of these remarkable young scientists!